This weekend was positively picturesque and my husband and I decided to take advantage of it by strolling the streets of Old Town on Sunday. After gorging ourselves at a late brunch at Jackson 20, I set out to peruse the racks of some of Old Town’s best boutiques. Or, rather, since my birthday is in less than two weeks, one might say I was taking a more proactive role in the acquisition of my potential birthday gift. For months now, I’ve been meaning to make my way to over the Shoe Hive and for one reason or another, I wasn’t able to. I FINALLY made it over there on Sunday and holy moly – I am glad I did! Walking into the Shoe Hive is like opening a little window to heaven. 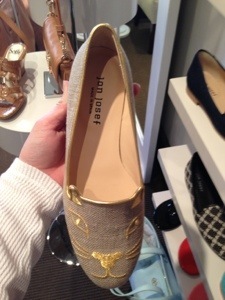 Every style, color and brand name shoe you could ever hope for line shelf after shelf, interrupted every so often by a gorgeous designer purse. 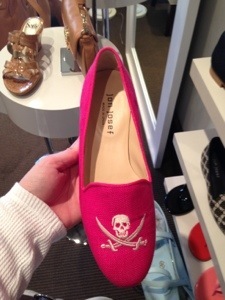 Pumps, wedges, sandals, flats, boots – the gangs all there and ladies, they are waiting for you to pay them a visit. 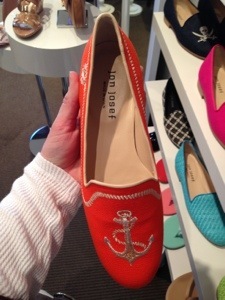 There isn’t a shoe store in DC quite like it. The selection is unique enough that you will leave feeling like a trendsetter but familiar enough that you can go there searching for something specific without being disappointed. Not surprisingly, shoes are the major merchandise draw, but the bags, sunglasses and jewelry are not to be underestimated! Delicate gold chains adorned with state charms, pretty printed scarves and a range of Tory Burch and Kate Spade mint-hued bags all caught my eye. Bottom line, if you’re in Old Town, you need to go. If you’re not in Old Town, you need to make plans to go ASAP. Your feet will thank you! Rebecca Minkoff – need I say more? 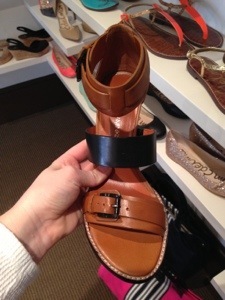 This shoe is a summer staple. Brown, black and buckled! 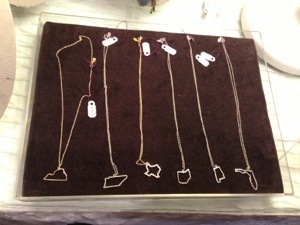 I had a Rachel Zoe “bananas” moment over these charm necklaces. They are the ideal layering piece and sentimental to boot. 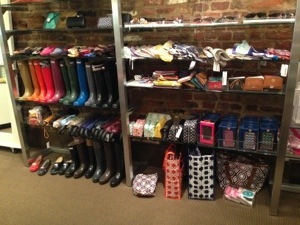 There isn’t a better selection of Hunter boots anywhere in the area! « Watch Me: Like it. Love it. Buying it.